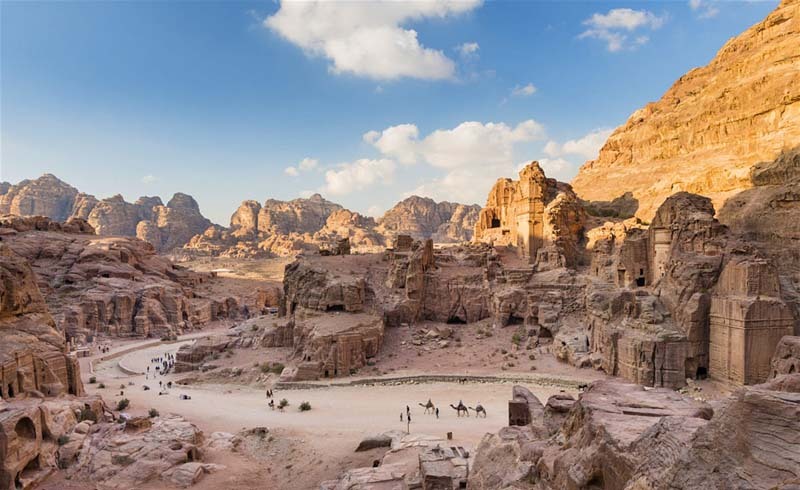 A small country that's big on hospitality, ancient history and culture, and numerous Unesco World Heritage sites, Jordan offers endless opportunities for adventure. From afar, it’s often unfairly lumped in with regional conflict and, as such, overlooked by timid travellers. But in reality, it’s a welcoming and peaceful destination not to be missed. Don’t hesitate to book your trip, pack your bags and check out these 10 things to know before you journey to Jordan. Despite being located in a region with a history of conflict, Jordan is the ‘quiet house in the noisy neighbourhood’, a friendly oasis that’s open and inviting to visitors. Hospitality reigns supreme, violent crime is extremely rare, and Gallup’s 2017 Law and Order Report ranked Jordan 9th (out of 135) in the world when assessing sense of personal security; the United States ranked 26th. 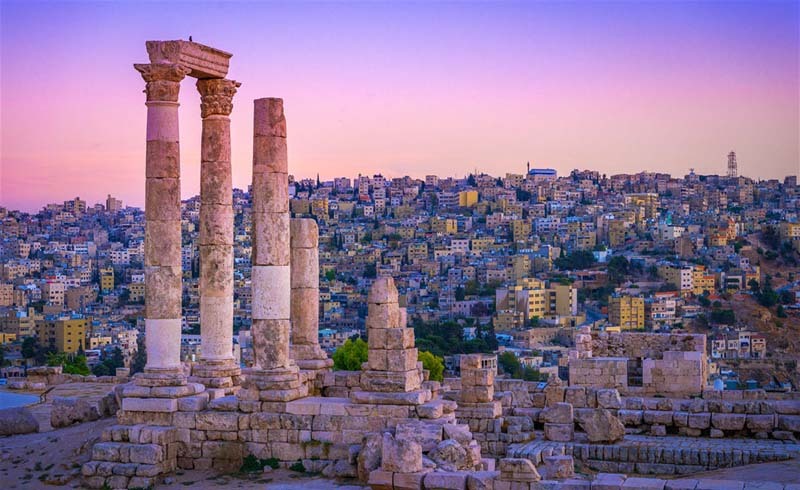 While you should take the usual precautions you would anywhere – purchase travel and health insurance, don’t carry large sums of cash, keep valuables locked in a safe, don’t walk alone at night – fear should not be a factor in planning a trip to Jordan. You’ll see people of the same gender greet each other with handshakes, hugs and even multiple air kisses beside each cheek. But if you put your hand out for a shake or lean in for a hug, you may be left hanging. Out of respect for their religion and spouse, some Muslims will not touch people of a different gender unless they are related by blood. Don’t take it personally; be prepared and open to learning the local traditions. When meeting someone, you can stand, say hello, smile and then let them take the lead. If they extend a hand or lean in for a hug, you can do the same. If they keep their hands at their sides or put their right hand over their heart rather than reaching out, that’s their way of acknowledging you. 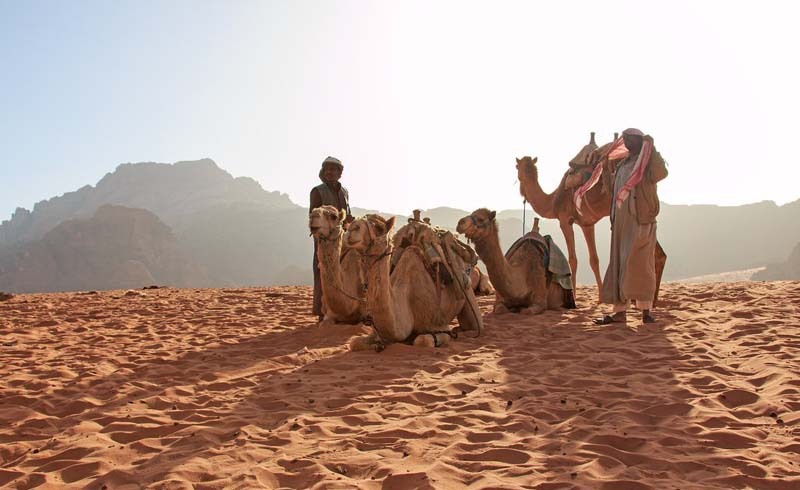 A common misconception about Jordan is that it’s always hot, dry and sunny. While that may be the case if you visit between May and September, Jordan does have a winter season. From November to February, the country receives a great deal of cold and cloudy days, rain and even snow, sleet and hail on occasion. Temperatures can hover in the single digits Celsius during the day and drop to freezing in the night, so if you’re travelling from mid-October to mid-March, be sure to pack a waterproof jacket and warm layers and monitor the weather. Flash floods are extremely dangerous, and even Petra is known to close during inclement weather. Jordan is a Muslim-majority country, but Christians, Jews and people of various beliefs also coexist peacefully here. There is no law requiring women to wear hijab, but there is an expectation to dress respectfully — it’s best to avoid low-cut and shoulder-baring tops, short skirts, and shorts. If you plan to visit a place of worship, both men and women must cover knees and shoulders, and women are typically expected to cover their hair, chest and neck. But covering up doesn’t mean dressing down: Jordanians are generally quite image-conscious and well-dressed. Some restaurants even enforce a sophisticated dress code, particularly in Amman. Keep that in mind when loading up your suitcase and feel free to flaunt your personal style (respectfully) if you’ll be spending time in the capital. 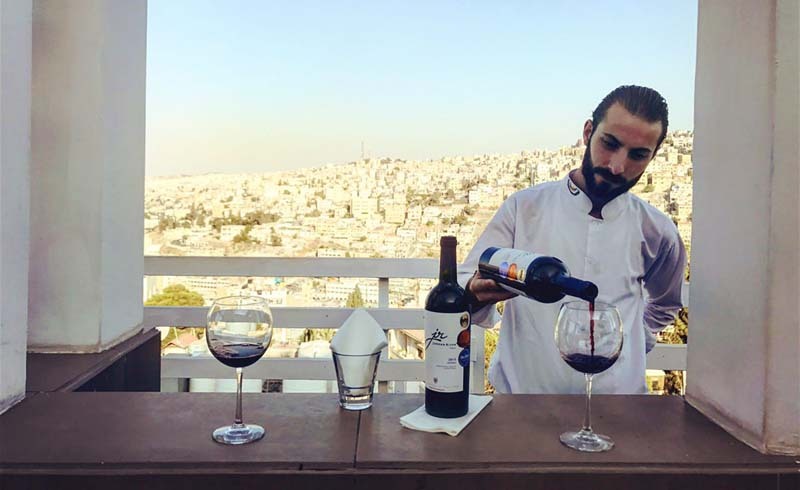 If you’re in search of sundowners, you can find alcohol at a number of restaurants, bars and, of course, liquor stores in the larger cities like Amman and Aqaba, as well as Christian towns such as Madaba and Fuheis (where you’ll find Carakale, Jordan’s only craft beer brewery). St George and Jordan River also produce their own wine in the country, but be prepared to pay a pretty penny for your libations – although legal, alcohol tends to carry hefty taxes. Bear in mind that Muslim-owned properties and Islamic holidays may affect how readily alcohol is available. For example, it’s illegal to sell alcohol anywhere in the country during Ramadan (with the exception of some high-end hotels), and most camps in Wadi Rum don’t serve alcohol at all (but you can often bring your own). Call ahead to inquire on availability and any restrictions, and if you do drink, be mindful of your hosts and consume in moderation. Alcohol may be in somewhat short supply, but there is argeeleh (shisha) aplenty. For better or worse, smoking shisha is a national pastime, and you’ll find argeeleh cafes across the country. Cigarette smoking is also widely accepted – in most restaurants, cafes, hotels, homes, shops, taxis and even some hair salons. 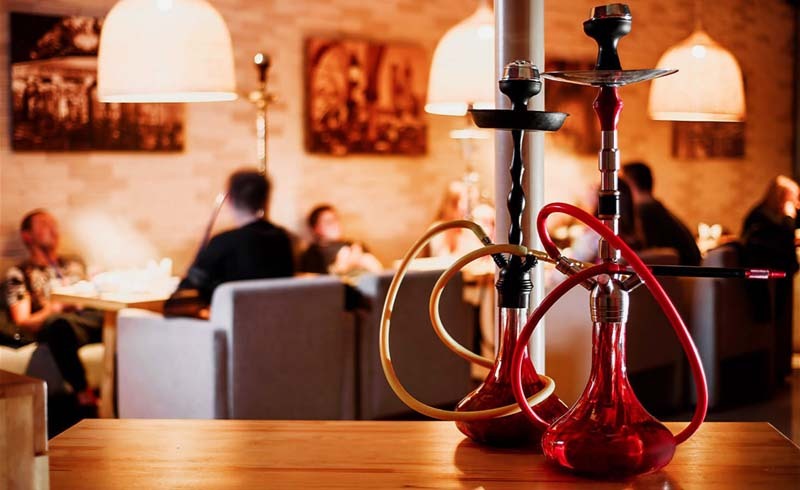 Travellers who smoke will be in good company, but the smoking culture in Jordan can prove challenging for non-smokers and those with health conditions. When booking rooms, tours, restaurants and transportation, ask whether non-smoking options are available. Tap water is not drinkable in Jordan, and environmental education and recycling facilities are scarce. Sadly, you will see plastics and other rubbish littering the otherwise lovely landscapes. 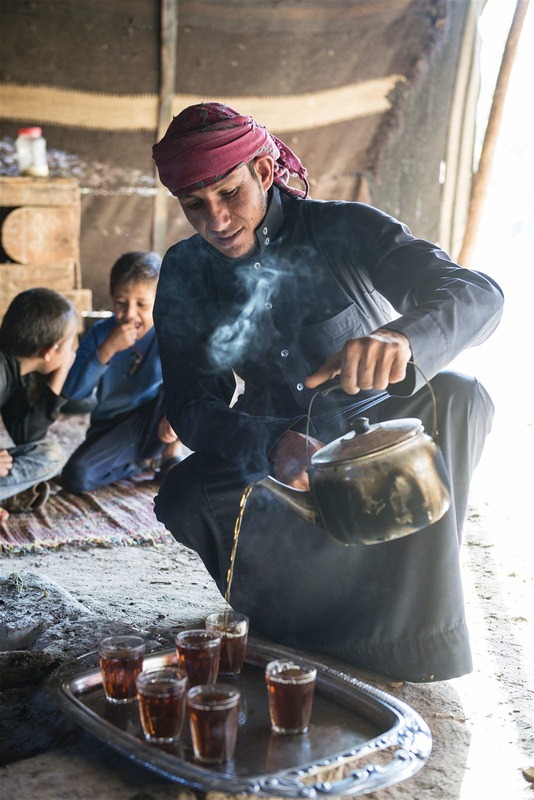 Local businesses and organisations with an eco-aware approach and plastic-free policies like those of Feynan Ecolodge, the Jordan Trail and Eco Hikers are working to teach and inspire locals and visitors with their environmental initiatives. 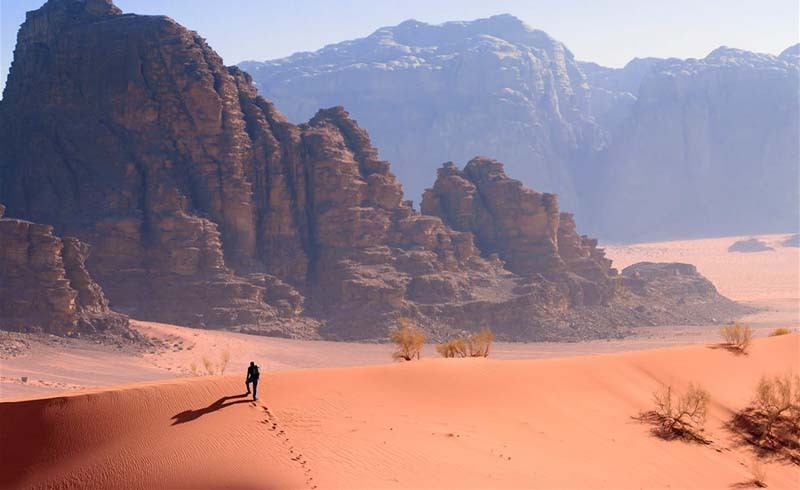 Travellers to Jordan can be part of the solution by supporting these eco-minded businesses and carrying their own reusable filtration water bottle (such as LifeStraw and GRAYL) and reusable utensils. Maybe it will be the moment you fall asleep under a blanket of stars or stand in awe of enormous ancient stones. Or perhaps it will hit you when you reach the peak of a mountain and take in the view, far away from the rush of the city. It might be the laughter and stories you share with your new Bedouin friends. Or the taste of tea brewed with sage and sugar over a campfire. It could be in the fresh mansaf (the Jordanian national dish of lamb, rice and yoghurt sauce) made with love by your hosts and eaten with your hands. Or it could be when you hear the muezzin’s call to prayer while watching birds dive and swoop against a sunset sky. There will be a moment – or more likely, many moments – when the magic of Jordan seeps into your soul. 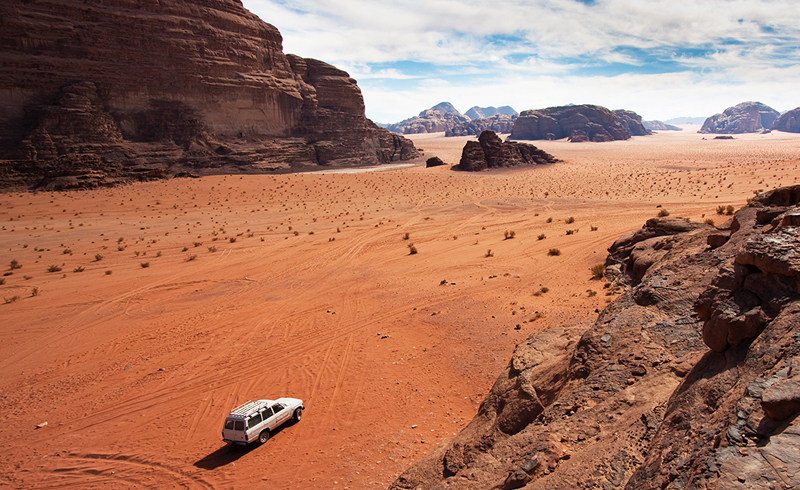 Jordan will welcome you, challenge you, and it may very well change you. And you’ll find yourself making plans for your next trip before you even finish your first.